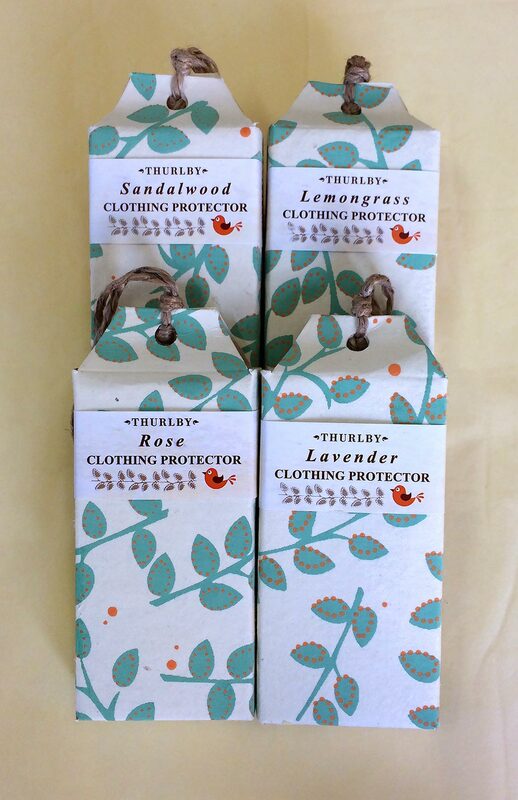 Made by blending essential oils into a long lasting solid base, these Herbal Moth Protectors are designed to hang in clothing cupboards or drawers to impart a fresh yet subtle fragrance to naturally repel moths and other insects which may damage your lovely Smitten or other superfine merino wool clothing. This herbal block will remain powerful and fragrant for months. Packaging designs may vary from photo. Handmade by Thurlby Herb Farm in Western Australia.